There comes a point each spring when your seedling have grown large enough to move outside, but they're not strong enough to withstand the cold. That's when you harden off young seedlings before planting them in the garden. One of the best and easiest ways to harden off plants is to use a cold frame. 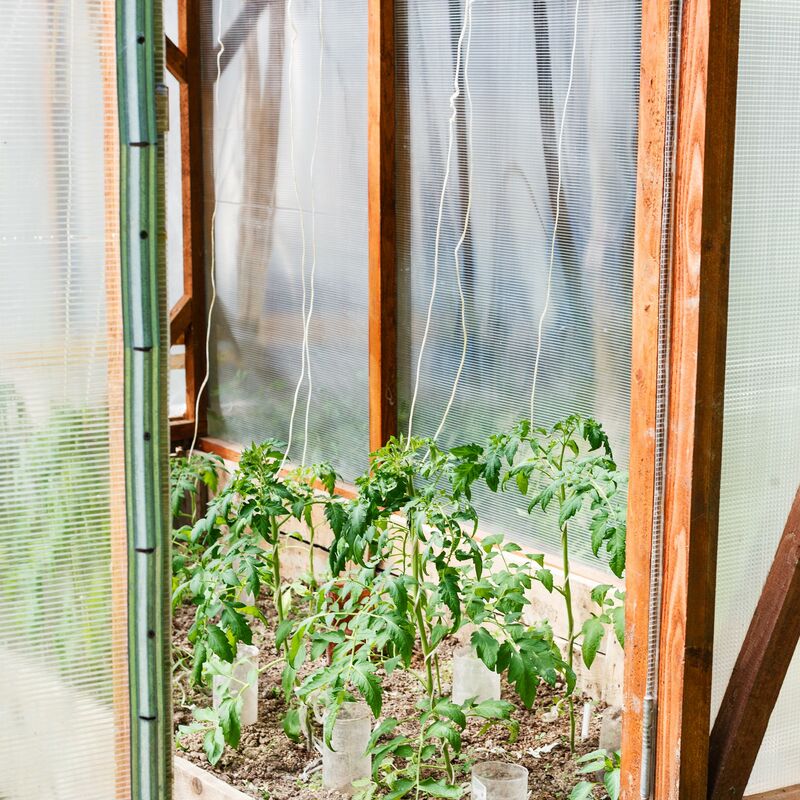 Cold frames are structures that insulate young plants when temperatures drop, but allow them to acclimate to the outdoor air and the strength of the sun's light slowly. You could create a cold from bales of hay and an old blanket, but these kits have brought science and convenience to the craft of cold frames. This snap together cold frame is great for protecting seedlings at the start of the season or for setting on top of garden plants, to extend the season in the fall. It is secured in place with spikes, so it is easily portable. The frame is light weight aluminum. The panels are glazed polycarbonate, with some UV protection to prevent leaf burn and very good light transmission. The tops are vented and hinged for easy access. They are nice, quick ways to gain some extra growing time and to protect plants from unexpected frosts, in a pinch. 41" (L) x 22" (W) x 18" (H), priced at about $50, or the larger 41" (L) x 41" (W) x 21" (H), priced at approximately $90.